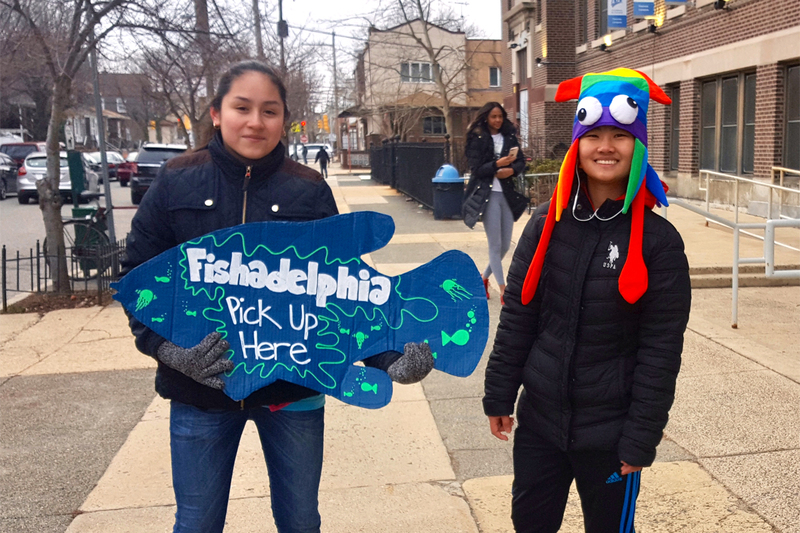 Fishadelphia, a Philadelphia-based community supported fishery, connects urban consumers to coastal harvesters, while teaching youth business skills. 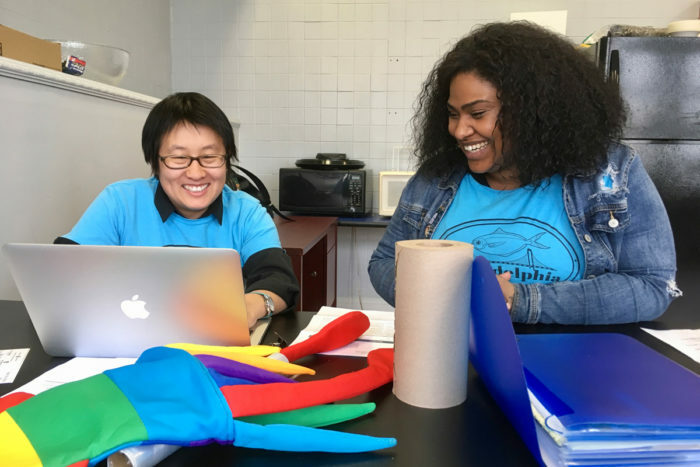 Fishadelphia officially launched in February 2018, the brainchild of Talia Young, a Philadelphia science educator and Princeton University David H. Smith Conservation postdoc. 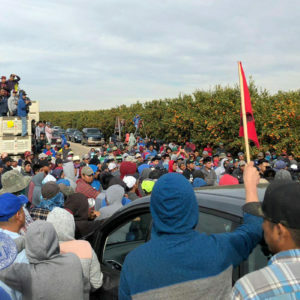 It was made possible with a two-and-a-half-year, $265,000 grant from the U.S. Department of Agriculture’s (USDA) Farmers’ Market and Local Food Promotion Program and is designed to serve multiple constituencies. Middle- and high-school students from the Mastery Charter School Thomas Campus in South Philly, who gain entrepreneurial skills and an education in regional foodways, are the “employees.” Customers include long-time city residents and recent immigrants, with whom students communicate in English, Spanish, Mandarin, and Tedim Chin, a language primarily spoken in Myanmar and India. Operated as an after-school club, Fishadelphia is open to any student with an interest in seafood or business. On average, it attracts 10–15 students who commit roughly three hours weekly, with grant-funded stipends for student leaders who help guide the team. 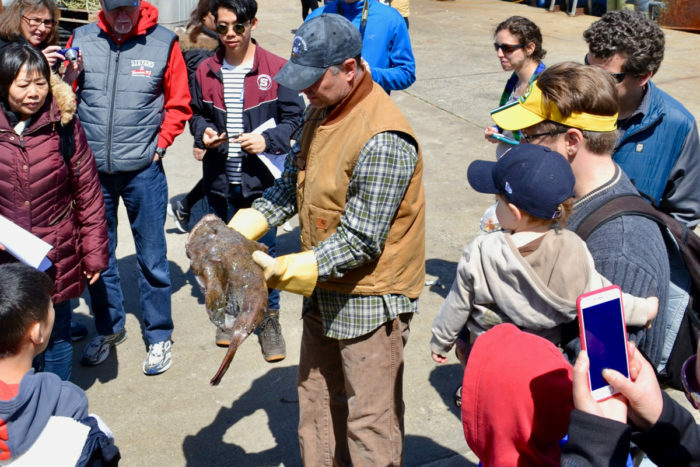 Many students have their favorite jobs; some like selling merchandise or greeting customers, others prefer prepping the biweekly shares of clams, black bass, and other Jersey-harvested seafood, which customers pick up at the school on alternate Thursdays during a 16-week season. Any leftovers get distributed to the students. Both students and customers gain an education in the food system. Yet Fishadelphia has a deeper purpose. “The program mission is inherently related to justice—it’s about providing access to high-quality food for low-income people,” Young says. With a record 90 percent of American seafood being imported, roughly 6 billion pounds in 2017, connecting coast and city is also smart business. While strategic fisheries management has reduced overfished stocks to 15 percent, the U.S. cannot compete on price when it comes to processing, which means species such as lobster are often harvested here, exported for processing, and then reimported. Demand also continues to outpace supply for popular fish such as salmon, tuna, and shrimp. A cohort of four initial partners, including the Point Pleasant Co-Operative, provide Fishadelphia with its product. Young makes a point of seeking out small-scale, sustainable operations whenever possible, though she notes that docks and processors are an essential part of the Mid-Atlantic fisheries supply chain, offering a consistent sales outlet to independent harvesters. While deliveries to the CSF’s 60 members reflect a drop in the proverbial bucket, direct marketing secures premium pricing for the fishermen. Flash back to a few days before the trip to Point Pleasant, and in the shadow of Lincoln Financial Field—home to the Philadelphia Eagles football team—activity filled a canary-yellow classroom. Students set coolers on folding tables and put hairnets in place. They prepared shares of dayboat scallops for pick-up, which landed that morning at the co-op. Clad in aqua shirts bearing a butterfish floating above the Walt Whitman Bridge, their chatter echoed in waves. “Are you interested in merchandise?” Young asks one student looking for an activity. “Lather for 15 seconds, which is as long as it takes to sing the alphabet song,” she guides another just beginning to wash hands. As luck would have it, her energy matches theirs. “Sometimes I’m at Princeton, and we go around and talk about what we do. People are like, ‘I’m building a mathematical model to better understand game-theory choice’—and I’m like, ‘Well, today I shopped for plastic aprons on the internet,’” she laughs. Young splits her time between Fishadelphia and her post doc research into alternative seafood supply chains. The two are technically separate endeavors. 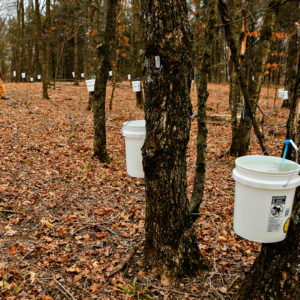 However, Young’s research-in-progress focuses on the ecological, economic, and social impacts of distribution models such as CSFs in the United States, with an eye on influencing ecologically and socially sustainable policies and programs. The Mastery Thomas neighborhood, on the banks of the Delaware River in Pennsylvania’s southeast corner, is racially and economically diverse. It is home to families with rooted seafood traditions, constrained budgets, and limited access to fresh fish. Throughout the Fishadelphia season, students think critically about how best to serve their needs. To start, the pricing model acknowledges privilege. Discounted prices are offered to customers who are eligible for food stamps or Supplemental Nutrition Assistance Program (SNAP) or Medicaid, are family members or caregivers of a student, or are referred by community members. Accordingly, those fresh scallops ranged from $10–$20 per pound. While those particular margins were tight, options like porgy—a sweet, white-fleshed fish also known as bream—bring in higher prices while also offering high customer value. This is the ideal intersection, and Young says is the key goal for Fishadelphia she identified during planning sessions with her logistics partner, clam farmer George Mathis. “A CSF is a really good deal for harvesters because they can sell directly to the consumers,” Mathis says, earning them more than they would make through wholesale. Students reach into their respective communities to find members. That might mean chatting with their teachers, visiting members of the local Burmese church, or promoting the week’s catch via WeChat, a social platform popular in the Chinese community. Given the variety of customers, students ran multilingual focus groups during the planning phase to uncover their fish preferences and continue to analyze sales data. “We found that most of our Asian customers wanted whole fish, because they knew how to filet it,” explains student Charlisse Johnson, 16, who loves greeting customers and handling sales. “I thought about it before, but seeing the actual statistics was really cool,” she says. Fishadelphia adjusted its share options to include whole fish and filets. An avid cook and seafood fan, Johnson also helps develop the recipes Fishadelphia distributes with each share. She joined the club because she was eager to learn about maritime foodways, while deepening her leadership skills. “I would always get seafood, but I never knew where it came from,” she says, mentioning an eye-opening visit she and the team took to Randall’s Seafood, a clam distribution house in Pleasantville, New Jersey. “It goes to multiple shops before it finally gets on our table. It was crazy to learn all of that.” Working at Fishadelphia has shown her how the seafood industry really works. “One of the things that has been fun has been to watch the kids’ understanding grow of where food comes from—its source, and also the many steps it has to take to get to us,” Young says, noting that Charlisse, who joined the club during its planning stages in February 2017, is a natural salesperson. Fishadelphia’s twin focus on youth education and sustainability places it in good company. Innovative projects with a youth-education mission are springing up nationwide, including Eco-Interns in South Jersey and Green Garden Bakery in Minneapolis. While still small, serving 60 customers during its inaugural season, Fishadelphia addresses such issues head-on. As the school year begins, one goal is to connect students to other youth groups doing food justice work in the city. Young is also working with the USDA to overcome logistical challenges to accepting SNAP benefits for payment. That would be a win for the Fishadelphia customer, says Alison Hastings, manager of the Delaware Regional Planning Commission’s Office of Communications & Engagement. 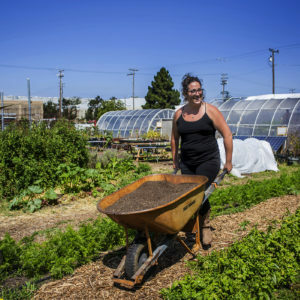 “If that person had more choice about where to spend that dollar and could stretch it further and get fresher food, that could be a real positive change,” she says. And choice, she notes, is a form of equity, which is central to Young’s vision. “I want to make sure that we keep thinking about the humanity embedded in the food system—the people who work or eat at each step and what would it take to build a system that is good for everyone,” Young says.